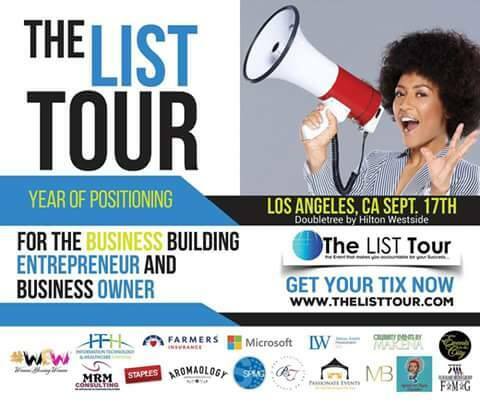 The List Tour makes its way to Los Angeles, Saturday, September 17, 2016, celebrating its theme “The Year of Positioning”. Business building entrepreneurs, are you ready to master your gift and profit? Come out to The List Tour Los Angeles, Saturday, September 17, 2016, from 8:30 am – 4:00pm, at DoubleTree by Hilton Westside. Previous Organizational Grant Program Workshop!